The research evaluated the current state of the emergency management software industry, as well as evaluated key industry players on both feature and vendor evaluation criteria. 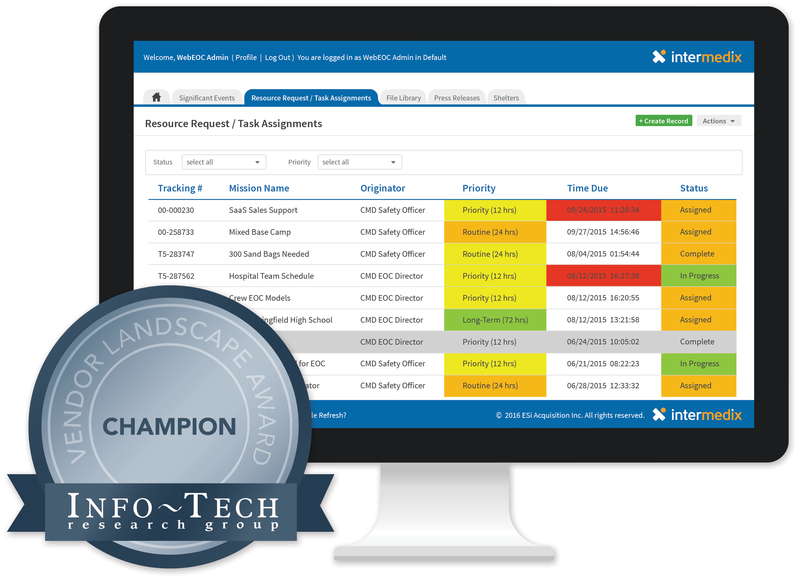 The Intermedix emergency management solution, WebEOC, was deemed exemplary in the product criteria — the only listed vendor to do so. In addition to WebEOC, seven other solutions were evaluated by the research group. WebEOC was the only solution to have all of the features Info-Tech researchers determined to be essential for emergency management and response. WebEOC was built to support the mission of crisis management, public safety and emergency response personnel. The solution has evolved to provide simplified information access promoting intelligent incident response and business resiliency. For more details about Info-Tech Research Group’s evaluation of WebEOC, review an excerpt of the Vendor Landscape report.